Are you currently a birth doula seeking ways to expand your business and your support? Perhaps you’re a breastfeeding specialist or sleep coach hoping to provide a greater spectrum of care to your clients? Or maybe you’re searching for a way to support new parents on a more reliable schedule? Wherever you are coming from, welcome! If you’re looking to learn more about what a postpartum doula is and how to become one, you are in the right place. They say it takes a village to raise a child, but in a society where the village model is basically obsolete, parents are often left unsupported in those early days (or months) postpartum. There to fill that void are postpartum doulas, or, as well like to call them, the village of the modern family. Postpartum doulas share a lot of the same qualities that one finds in a birth doula: they are good listeners and gifted at reading and responding to others’ body language, emotions, and wants/needs; they are a source of support and encouragement to those around them; and they are skilled at facilitating communication and collaboration. However, a postpartum doula is different from a birth doula. The support they provide is generally over a longer period of time, and focuses on helping the family find their groove with their new addition (or additions—hello, multiples!). 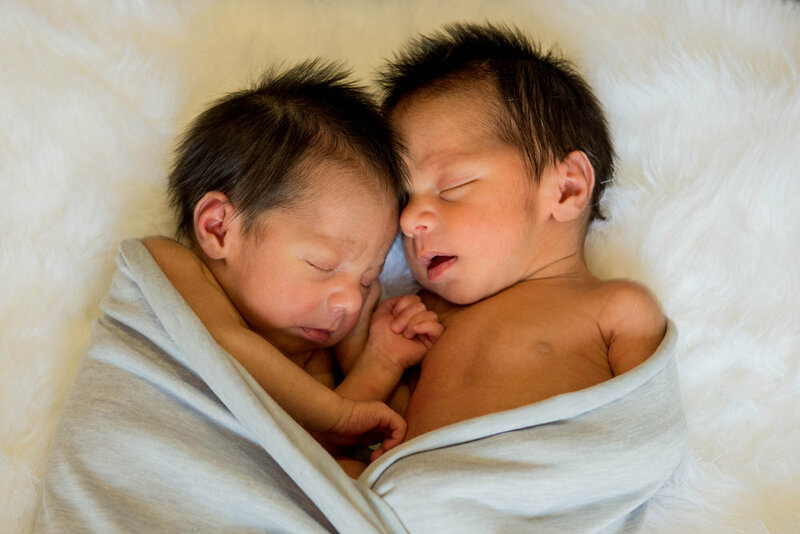 They are knowledgeable about infant development, postpartum healing, hormone fluctuations following birth, infant feeding, sibling-bonding, and more! They have a variety of tools in their kits to help support families as they pursue the parenting philosophies that best fit their lifestyles. Whether a client needs more sleep, more conversation, or more hands for just a moment, a postpartum doula rises to the occasion to support the postpartum recovery. WHY SHOULD YOU BECOME A POSTPARTUM DOULA? Although it may be a surprise to you, it is common for postpartum support to be pushed aside in preference of focusing on birth work, even in the doula community—much to the disservice of both parents and birth businesses alike. If you are already a birth doula, training in postpartum and infant care will help you better prepare your birth clients for life after baby. You will be more equipped to assist them in creating a postpartum care and recovery plan, and to address their needs and concerns at your postpartum follow-up(s). You will also become familiar and comfortable with community resources that may benefit clients who reach out to you for support postpartum—not to mention the opportunity to add postpartum doula support list of services, both setting your business apart from others in your community and creating an additional stream of income. Postpartum doula work is also more predictable than birth work, which makes it a great option for those who are interested in becoming doulas but who also need a less-sporadic schedule; once care begins, shifts are generally scheduled in advance, so you can count on exactly when you are expected to be at work—making planning the rest of your life easier! The truth is, they still say that it takes a village for a reason: postpartum support is important! This is one more way that you can do the work you love and support growing families in your community. Desert Birth & Wellness is a full-service maternity-care agency serving families in the Morongo Basin, Coachella Valley, Riverside and surrounding areas, that also trains doulas! At our two-day comprehensive workshop, you will learn exactly what it takes to become a postpartum doula. Created by Desert Birth & Wellness’ very own Jennifer Crawford, this training is like no other offered in the area. After not finding exactly what she was looking for in a postpartum doula training near her, Jennifer set out to create a training to truly meet the needs of aspiring doulas in Southern California. Using her knowledge and experience of the area, Jennifer is able to train local doulas in policies and procedures that are relevant to the area they will be working in, as well as provide doulas with local resources that will actually be meaningful to their practice. To register for the upcoming training on June 30 & July 1, click here.